After last week’s multi-million dollar blowout we still have plenty of five- and six-digit events to go around, as they will this weekend on the harness map. The Maywood Pace gathers soph colts, with that division also highlighted in New York Sires Stakes (NYSS) and Max Hempt elims. Older gals battle in the Ellamony Final at Mohawk and older guys prep for the Titan Cup at the Meadowlands and Ben Franklin Pace at Pocono. Hambo-hopefuls once again fight for big money, this time at Pocono in the Earl Beal, Jr. Final. For that analysis, go to our exclusive Hambletonian Trail sit and follow through with result storied at the Hambletonian Society. The $123,000 Maywood Pace on Friday, June 22, may not hold the stature it did in harness’ glory days but this is still a talent-packed event, though it relies more on locals than national stars. The two elim winners will most likely get the money nods from the crowd but we have to ask a question that could lead to a longshot play. Why is Yankee Doodle Jim 15-1 on the morning line? He made it to the final and has the same record as Uncle Smoothie, one of the probable choices. Our quest for an outside contender raises our eyebrows and points to Yankee Doodle Jim in a race that often produces an unexpected winner. The state-bred fund deposits a wad of dough Friday at Vernon Downs in NYSS for glamour-boy pacers born in the Empire State. A trio of contests, each worth $44,000, offers a few bargain deals for us. Dynamic Youth is our choice in the first split. He has won twice and had two in-the-money finishes from five starts an earning machine in the division, at least among his peers. Ideal Romance has already shown us some money and in the second split may be the powerhouse play. Watch the odds, though, it would be no surprise if the crowd jumped on him. Finally, Joe Holloway’s Escape The News can go with the national group, though he is still to be confirmed as a major foe. With this group he may be a wonder boy and he may be bargain. After record-breaking miles in their elims at Flamboro last week, what could stop the Ellamony Classic Final on Saturday, June 23 from going to Rocklamation or Warrawee Koine? The third morning-line choice, Strike An Attitude is only 5-2 and the fourth, Voelz Hanover is 3-1. This odds line is so far over 100 percent that a good price for a strong contender looms boldly in a crowd where the longest shot is listed 8-1 and the two probable favorites are both stunningly unexpected upsets in their elims. The defending champion, Dreamfair Eternal, deserves better than the 6-1 afforded her on the program. If any wager could be worth it, go with the tried-and-true woman of the event. The Meadowlands features the best free for all trotters in the Titan Cup this Saturday. All eyes will be on the “unbeatable” Arch Madness. Shipping back to America after a third-place effort in the coveted Elittlop, he seems to be the best. But, he has not met the ranks of Chapter Seven. In what was a weak division for a while, Arch Madness may have his first genuine rival. Chapter Seven trotted a magnificent mile in his qualifier. He won by 7 lengths with a :25.4 final quarter. If Arch Madness takes the lead, there is no way he can trot with Chapter Seven of he starts closing as he was recently clocked. Max Hempt was a breeder and owner of the once productive Max Hempt Farm and this stake gets his name after a few incarnations. Still, it is a primary attraction for glamour-boy pacers and it comes in three elim miles this Saturday, June 23. The first elimination is by far, the weakest of the duo. Verdad looks like he has a shot. He paced a first-over mile against older, conditioned pacers and won for fun. He draws the rail and looks to be primed to win and go to the final. The second elimination features the fast-closing Hurrikane Kingcole. Apparently, his charts show that he paced a 1:18.3 final three-quarters recently, which has been a questioned clocking. He broke in the North America Cup elims and missed the final but on gait there appears no way the colt is getting beat today. You might key him in an exacta if the odds fall too far. In his recent effort, I Like Dreamin sat second until he pulled the pocket and brushed to the lead, clearing at the half. He had to fight off Eastwood Blue Chip in a duel around the far turn, where I Like Dreamin prevailed. He can endure a horrible trip and with post 6, may have to. Also put Mortal Zin in the mix. He got a pocket trip going against older, conditioned pacers but was nipped at the line. He should have woken up after that race and be ready to pace this week. A Rocknroll Dance headlines the final elimination. But Bolt The Duer should be ready to go strongly this week. After a second-place effort to Pet Rock in the Art Rooney, he qualified and beat older pacers and looked good doing it. The first James Lynch elimination has to be the most wide-open. Featuring top fillies like Shelliscape and Major Look, it is sure to be a close race. But the bettors will likely miss Darena Hanover. She was first over early, lost the lead and got shuffled for the rest of the mile last out. She snuck through the passing lane late to just miss winning by a nose. Since Pocono has a passing lane, it is possible that if that happens again, she will be there, though she can win with another route. Two elims for the Ben Franklin Stakes are on the big Saturday Pocono program, featuring some of the giant older pacing horses. Bettor Sweet and Aracache Hanover will seek redemption in their elimination. Though they will have to face Clear Vision, a rival from the Bettor’s Delight Final. 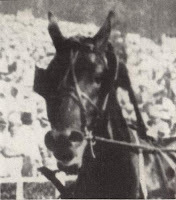 Although Clear Vision won the Bettor’s Delight, Bettor Sweet was the one that showed he is much the best of the five-eighths ovals. 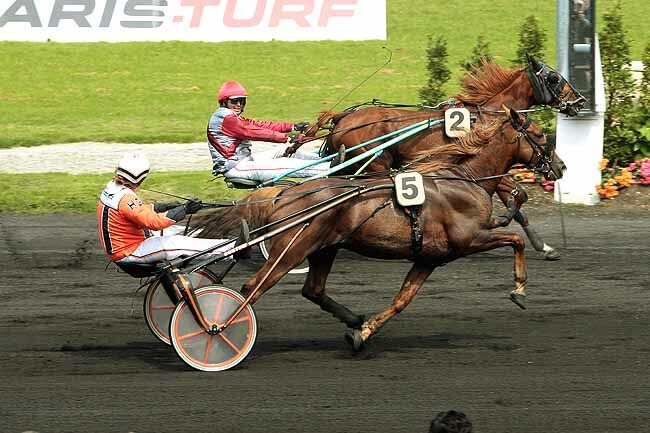 Bettor Sweet paced ridiculous fractions in the Bettor’s Delight, going :25.3, :54 (:28.2), 1:21.1 (:27.1) and 1:48.2 (:27.1). All he has to do is get the right trip and unleash the gas he did at Tioga last Sunday afternoon. 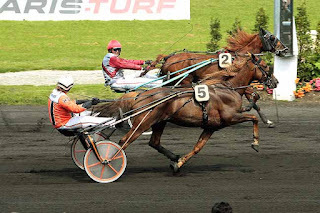 Aracache Hanover may not ship well to the U.S., as he did not prevail in the Graduate or the Bettor’s Delight but he paced a good mile in the Mohawk Gold Cup. Leaving the gate slow, he made up 7 lengths in the mile, with a final quarter of :26.1. That showed that he could close through fierce fractions. But if they are a little softer, possibly he can swoop on by for an upset. We Will See and Betterthancheddar headline the second elimination after their one-two finish in the Gold Cup. Ok Commander and Real Nice look to make this an exciting elimination. Although he was against weaker competition, Ok Commander is a misunderstood free-for-all pacer. The second Gregg McNair trainee entered in the two elims paced a wicked mile on the North America Cup under card. He got a pocket trip in the Preferred, popped the pocket and paced a sizzling :25.4 final quarter. If they go very fast up front, watch this pacer come flying through the stretch. Real Nice also has a good chance. From post 6, he won the Open at Yonkers, leaving fast and never looking back. He has shown that he can handle bad posts and looks to revive his campaign as a free for all pacer after a disappointing effort in the Levy series. After the North America Cup loss by even-money shot Sweet Lou, trainer Ron Burke made no excuses. Nor did he explain why his speedball was short for the first time. After a few days silence Burke met the press. Sweet Lou will not race again until he goes in a Meadowlands Pace elim this July, looking to get into the $1-million final and go back to being his fiery self. “I’ll look at hopple length, bridle and shoes to try to get him to stretch out a little bit more, try to get a little bit more out of him,” Burke told Evan Pattak at the Meadows.